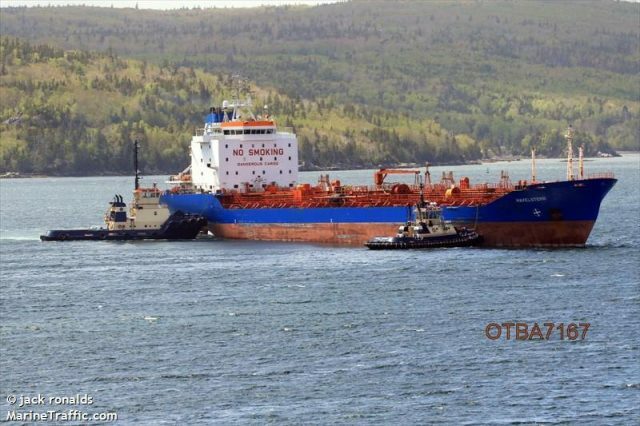 The 162 meter long, 17088 dwt chemical tanker Travestern allided the 161 meter long, 17083 dwt chemical tanker Havelstern off Lewisporte, Newfoundland, Canada. 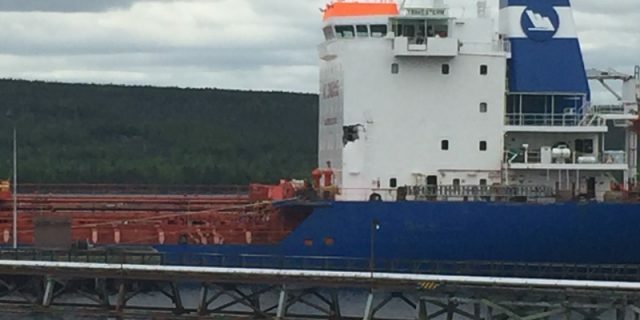 The Travestern had struck the anchored Havelstern while maneuvering to transfer fuel. The Travestern sustained hull damage resulting in a large hole in its superstructure. The Havelstern sustained damage to its stern above the waterline. No reports of injuries or pollution released from either vessel. Both vessels will be surveyed for damage. Canadian authorities have launched an investigation into the incident.